Since you are on an island, you cannot leave without having learned some basic dance steps from traditional Greek dances. 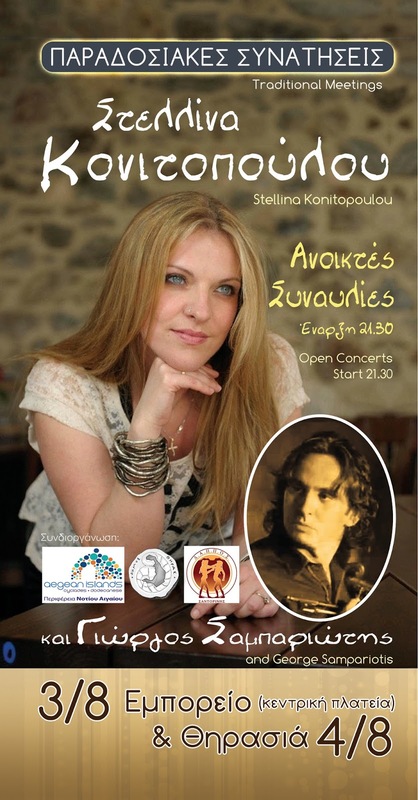 Your opportunity is tonight: Stellina Konitopoulou and George Sampariotis, two Greek singers, “set sail” through the Aegean music to popular traditional songs and rhythms. So, if you want to practice your dance skills, the concert takes place at the central square of Emporio at 21.30 with free entrance.